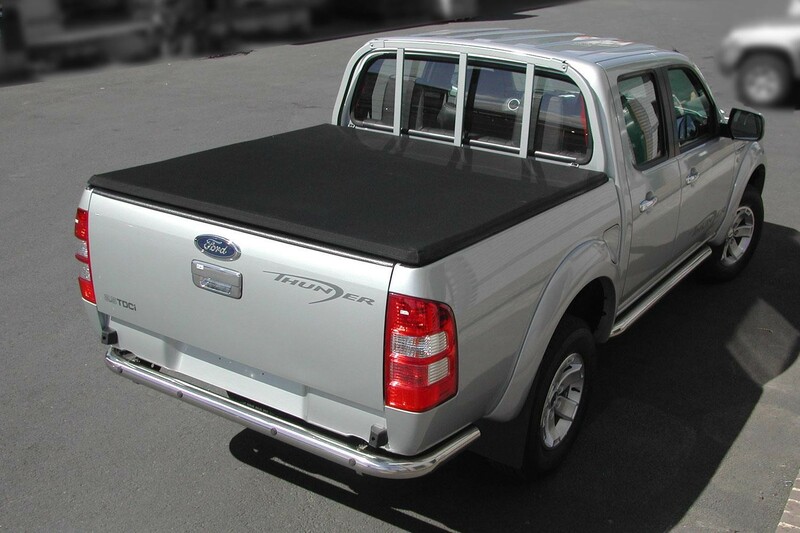 Ford Ranger Double Cab Pickup Soft Folding Tonneau Cover. Top quality finish & fixings. Supplier to USA Car manufacturers. 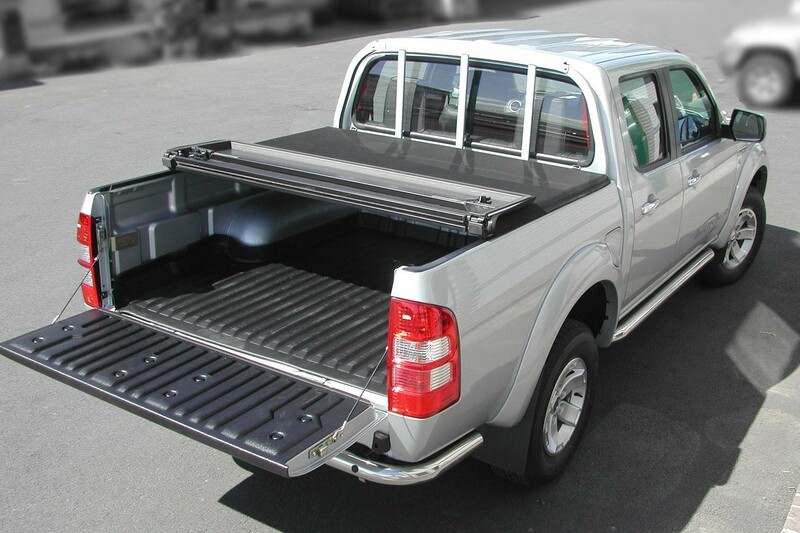 A unique tonneau cover, with NO DRILLING, press studs, zips or Velcro fixings to go wrong and folds to a compact size neatly behind the cab or removed for easy storage. 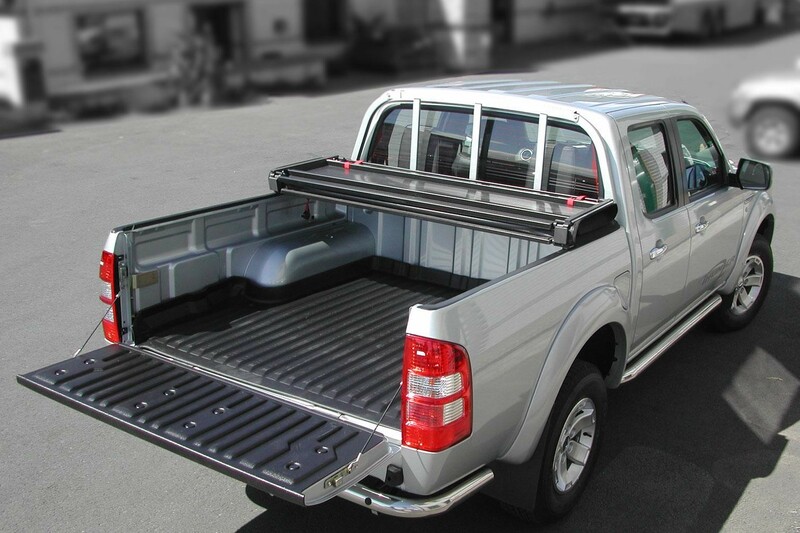 The vehicle can be driven with the Tonneau secured in its open position. Manufactured from tough Nylon reinforced Black Vinyl, it offers a practical, easy clean, stylish finish. All fixings and mounting rails are concealed and permanently attached to the cover so an added bonus of no loose parts. 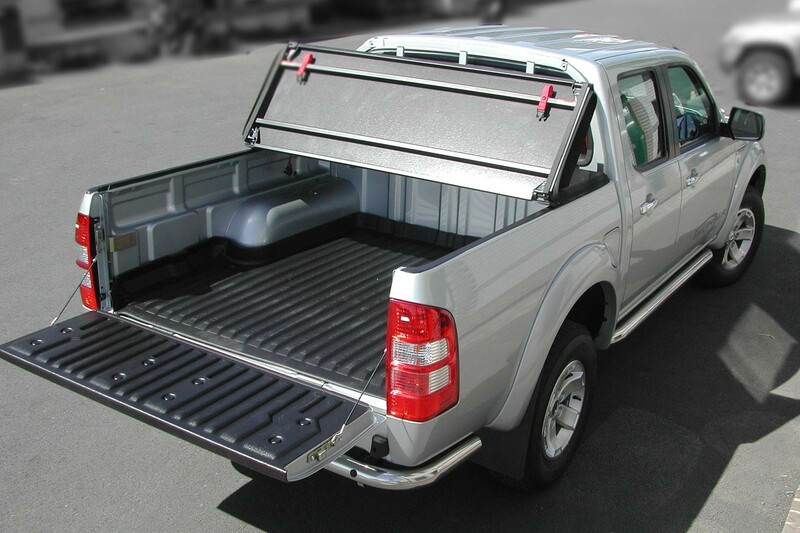 With just 4 clamps to align and clamp into place, once fitted, this tonneau can be installed or removed by one person in less than 2 minutes. Maintains the Pickup look whilst improving Fuel Consumption. Fitted in under 30 minutes.